Mikie of Blamo Toys was at Wondercon and had a lot of sweet stuff on display at the booth. Including an upcoming collaboration figure with Brent Nolasco (shown above), which we cannot wait to hear more news on. They also had some exclusive releases by Leecifer, Leighton Kelly, a new release of Major Mars, and an exclusive debut of the newest Blamo figure, Swampy The Sea Creature. Also available at the booth were some one off customs and original art. Take a peek after the jump for more pictures. 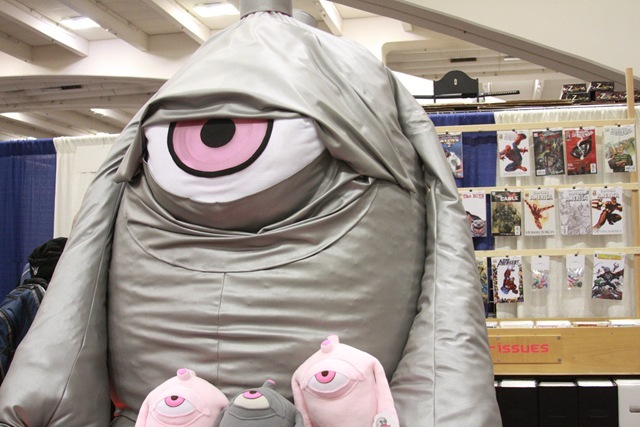 There was no way you can miss the Neon Monster booth at Wondercon, without seeing a huge Mitch protecting it. 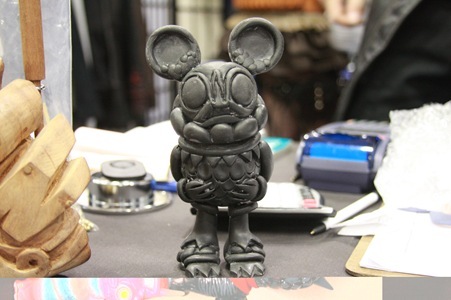 The Resin Showcase was the big haps at their booth and might I say, all the pieces were awesome! It is definitely something you would have to check out, especially if you are unfamiliar with resin figures and the amazing work and quality put into them. Happening today at their booth is an exclusive signing with Frank Kozik, which is beginning from 12-2PM. The ever so lovely Amy of Lulubell Toy Bodega will be manning the booth all weekend. Or shall I say womanning? All the way from Arizona, she brought a long with her tons of RealxHead goodies, including their exclusive Gray Glitter Chaos and Mini Chaos Bean. Not to mention Cure-Toys newest figure, Fungah. We also got to check out the exclusive Cube Dorols from Shikaruna. Be sure to stop by their booth and have a look see. Super7 was at Wondercon and brought along with them the goods! On display was the new painted blue pocket Mummy Boy, the new upcoming Garuru, the oh so stellar upcoming Rose Vampire, and the long awaited Stormtrooper Super Shogun. Oh yeah, we cannot forget to mention the GID Zagarad, Drunk Sejin, and pocket Mummy gator by Gargamel x Super7, which will be available at the huge show going on tonight at Super7. We failed terribly in getting some action photos of the Stormtrooper Super Shogun, sorry Glenn. It’s always nice to see some familiar friendly faces. Dragatomi was reppin’ hard at Wondercon with a couple special releases! Available at their booth was the first release of Jesse Hernandez’s Ozomahtli figure, which is GID and limited to 100 pieces. He was also at the booth signing and will be there again on Saturday from 1-4PM. 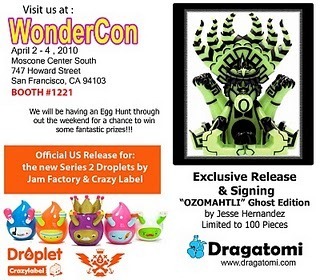 Dragatomi are also the ones who are first to release the new series of Droplets from Jam Factory and Crazy Label. 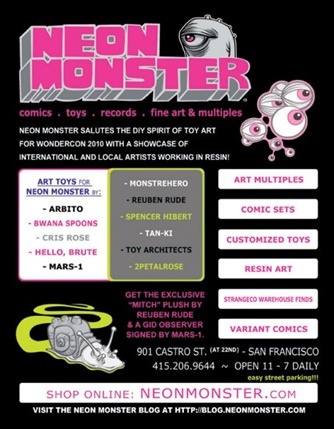 They also had on display some pieces from past shows that were also for sale, featuring the works of Motorbot, Leecifer, Nreazon, Drilone, and some awesome custom Marshalls by J*Ryu. 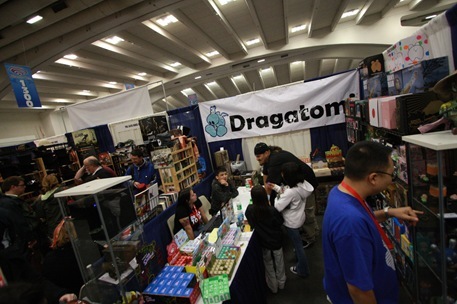 Be sure to make Dragatomi one of your vinyl stops at this years Wondercon. It’s the first day of Wondercon and we got to catch up with some good friends of ours. 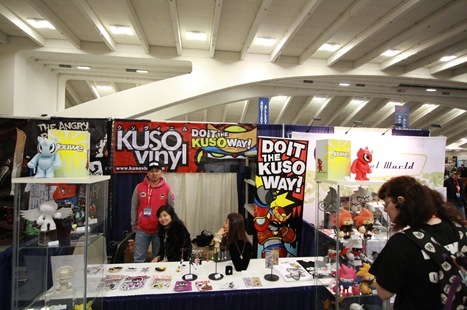 Kuso Vinyl had their booth all set up, packed, and ready to release some awesome exclusive figures. Available was the new Tiger Lucha Bear by Itokin Park, Noruto Spiki by Nakanari, and the official US release of the Jouwe figure. 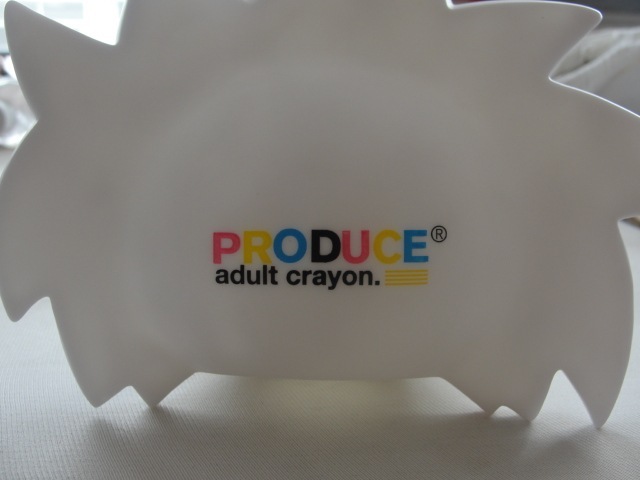 Also on display was the new “Adult Crayon” CMYK Edition Spiki for Produce Label in Texas. Something else we are also excited too see was Jesse Hernandez’s Mictlan figure, which is on display as well. 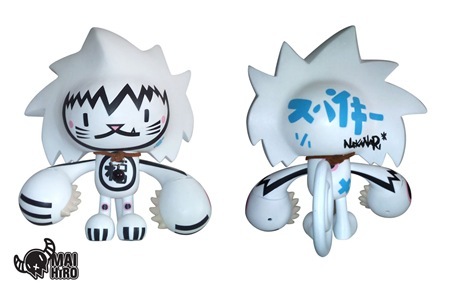 Nakanari was also on site to show off his Custom Lucky Cat Spikis and he will also be signing on Saturday from 12:30 – 3PM. Just in case you’ve forgotten, Ozomahtli Ghost (ed. of 100), the first edition of Jesse Hernandez’s original figure from Bic Plastics, drops this weekend at Dragatomi’s Wondercon booth (#1221) in San Francisco. 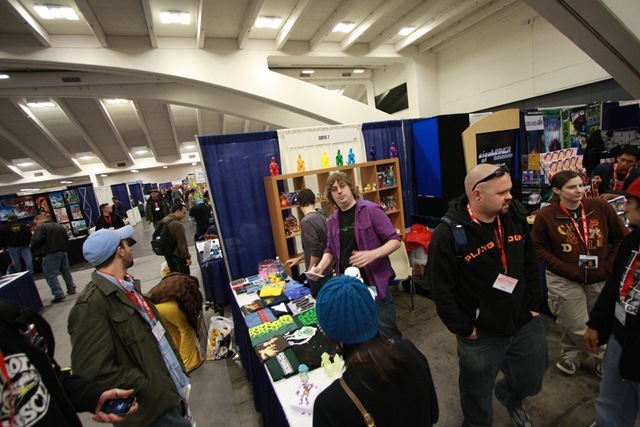 Jesse Will be at the booth signing from 1-4 PM Today (4.2) and Saturday (4.3) also from 1-4 PM. Ozomahtli is one of this spring’s top releases, don’t miss this first GID edition. Lulubell Toy Bodega has finally spilt the beans on the last of their Wondercon exclusives. 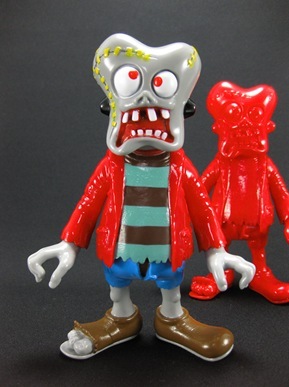 From Cure-Toys they have an exclusive Wondercon Fungah, which is available in both painted ($85) and unpainted ($75). For a special Saturday release, Sean of MONSTREHERO will be at the booth with an exclusive Sparklemnion that will be available at noon for $75 a pop. Don’t forget to stop by Lulubell Toy Bodega at booth #223. Nakanari will be attending this years Wondercon and along with him, he will be bringing some special Spiki’s! One being his custom Lucky Cat Spiki, which is limited to only 3 pieces. Each wearing different colored collared bells and comes with a custom gold coin designed by Dave “Outta My Mind Creations” Quilles. He will also be showcasing his exclusive Produce Label “Adult Crayon’ CMYK Spiki at the Kuso Vinyl (Booth #1343) & Dragatomi (Booth #1221). Feel free to stop by any of these booths and meet one great guy. An exclusive RealxHead Chaos and Mini Chaos Bean just surfaced for the Lulubell Toy Bodega booth #223. The Chaos and Mini Bean are available in a matching gray sparkle vinyl and look very well together. Toybot Studios also got the word on an exclusive Fungah by Cure-Toys for their booth. Check out the rest of the info on his post HERE. Indonesian artist Marine Ramdhani’s Jouwe vinyl in Red (ed. of 200) will make it’s US debut next weekend @ Wondercon from San Francisco. Produced by Kuso Vinyl and MyTummyToys, the cute rhino will drop at Kuso’s booth (#1343) for $55. Don’t dilly dally, only 20 pieces will be available at the show. 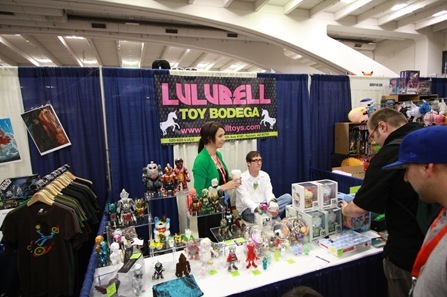 Lulubell Toy Bodega will be attending this years Wondercon, which is taking place in San Francisco. 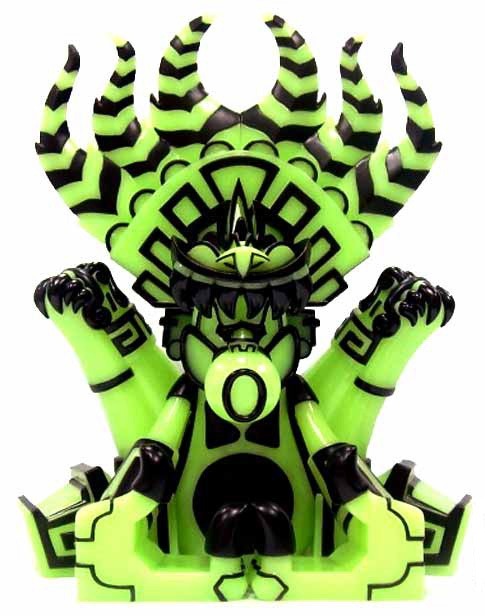 They will be bringing along with them some exclusive figures such as the 2 Shikaruna Cube Dorols shown above. They also hint towards some unpainted’s, which is pretty good incentive to visit them at Booth #223. 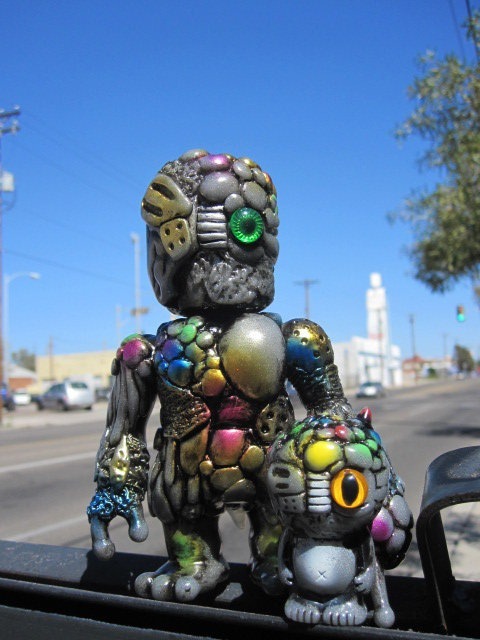 Kuso Vinyl has released their second exclusive figure for this years Wondercon. 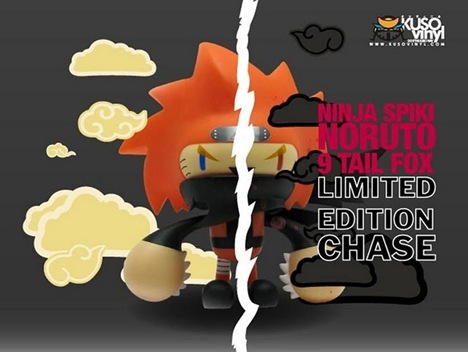 Limited to only 150 pieces is the Noruto Ninja Spiki by our good friend Nakanari. 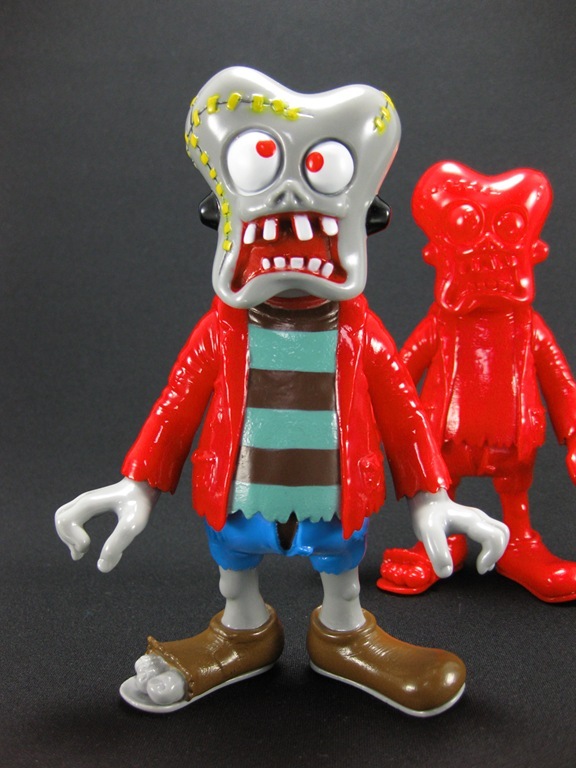 There will also be a red eyed bloody chase, which is limited to 50 pieces. Be sure to find these at the Kuso Booth #1343 at $75 each. Nakanari will also be in attendance to sign and sketch. Kuso Vinyl will be holding down the home front at WonderCon (SF) in booth # 1345. They will drop two toys. 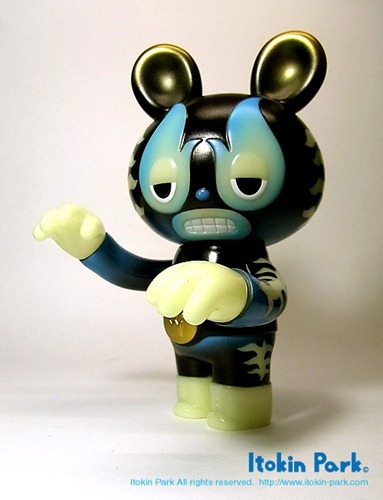 The first is the GID Tiger Lucha Bear from Itokin Park. It’ll be available for $75. 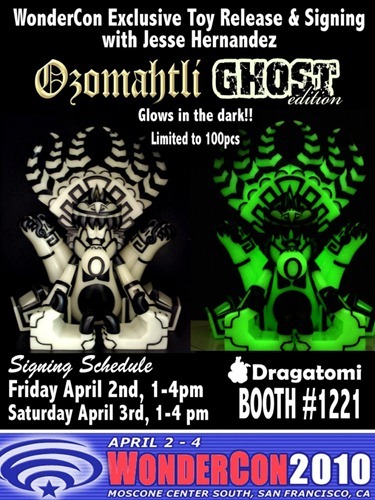 Wondercon (4.2 – 4.4), San Francisco’s answer to SDCC, is right around the corner and Dragatomi is ready with a glowing exclusive – Jesse Hernandez’s Ghost GID Ozomahtli by BIC Plastics. Limited to 100 pieces, this is the very first colorway of Jesse’s first original figure. 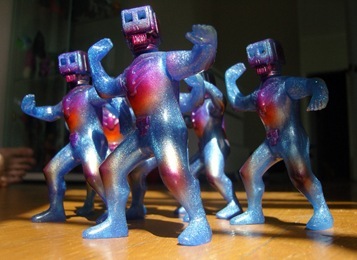 Dragatomi has more in store for collectors as well – the US debut of JamFactory’s new Droplet Series 2 from Crazy Label. Also, since everyone loves winning stuff, Dragatomi will be rocking an egg hunt with prizes for the winners. So if you’re Wonderconing this year, be sure to drop by Dragatomi @ booth #1221 (flier).